I’ve pulled down stats from webpages or Facebook pages for events I’ve developed or helped run. But all have been fairly small scale. Last academic year, I implemented a blog assignment in my social media class and one of the main goals was for students to learn how to use Google Analytics. However, to do so, we used Tumblr because that enabled us to install GA for free. Students didn’t like Tumblr. This year, we moved to WordPress for our department blog. The free version doesn’t support GA and the WordPress stats are limiting. This past fall, students created the content for our social media – blog, Twitter, Instagram. So, again, there’s a hands-on possibility to teach metrics and track our results. I’ve used Twitter ad analytics for my Twitter team to learn analytics in my social media class. Those are robust and great! And we use the free version of SumaAll.com for Instagram and Twitter (though redundant for Twitter ad analytics), but those stats are limited. To track the analytics of our department social media, I use a version of a spreadsheet I modified from Professor Jeremy Floyd for students to track their analytics. In my Communication Research class, I teach students how to conduct a sentiment analysis of Tweets by hand. But I haven’t found something that really makes me feel like I can teach students analytics in an engaging way. No matter how I present it, I have found that students tend to fear metrics. This morning I started thinking that what we need is a module-based, hands-on teaching system. Ideally, this would have to partner with a social media analytics company. The company would provide real-world data (they may have to mask identifying information). In a perfect world, students would have access to the company’s software and would be able to play with the data in a safe environment (where they couldn’t take any action on the data, such as send a Tweet, but could interact and create reports). And there would be a series of modules that students use to learn analytics. At the end of it, students would be put into a simulation environment where a problem is presented to the class and students would work in groups during class time to solve the scenario. I’d love to do this. But I’m not yet sure how to get started. More than that, I think it is a project that has utility at multiple universities. If you are interested in exploring this idea with me, please contact me. I’d love to chat. I believe in the power of conversation. I think this could be a cross-university effort of professors where we all could create and use the modules. I believe we could approach a metrics software company as a team and have a greater likelihood of success. What do you think about this idea? The Link Schemes Change by Google: Why I Am Not Afraid! I recently posted on the impact the change to Google’s link schemes is having on what we should teach students about writing press releases for the web. But what does this change mean? There are some concern around the web that this is going to have a very negative impact on PR. There again, some seem to be completely ignoring this issue. (Note: I should have more clearly emphasized in my original post that this lesson extends beyond press releases into other online articles distributed on other websites – like online article marketing campaigns and widespread guest blog campaigns). Is Google’s update to its link schemes the beginning of the end of PR as Foremski warns? Will this change devalue the press release? From my standpoint as an educator: Honestly, I’m not too worried about it. I don’t think you should be either. So why am I not worried? Because the savvy strategic communicators you and I are seeking to educate are storytellers, not press release machines. They are creating content for an interactive and interconnected multimediascape that users will find, enjoy, and want to share, naturally. Wherever communication industries are going or not is fine with me. And I think it should be with other educators as well. I believe our goals as educators should be to strive to prepare ourselves and to help our fellow educators prepare our students to be the ones with the skill sets to lead that wave, whatever it is going to be. I don’t know everything, things keep changing, and I’ve got a ton to learn! Isn’t that empowering and motivating? I am not one for “how it has always been done.” And I know of a ton of educators who are they same. They are the folks bravely driving innovation and new ideas, experimenting, thinking about what’s around the corner, and not afraid to take risks and learn from them. The dozens of educators I have met, follow online, or otherwise observed (such as wonderful Promising Professor presentations at AEJMC!) are not stagnant. They are passionate about change. Whether this or any future change by Google or some other entity means the press release has less value than ever or not, it shouldn’t matter if we 1) are adaptable and innovative educators, and 2) are teaching our students to be strong writers for the web with an eye for engaging content. Maybe what I’m trying to say is, what an exciting time it is to be an educator! I hope you all have an amazing semester! Today is our first day. I look forward to learning from you and growing over the coming months! Next week I will share how I am teaching writing press releases for the web as part of my Writing Across Platforms course. Join us for Social Media Professor Google Plus Hangout Weds 5-22! Happy Tuesday! Tomorrow we will be holding our second Social Media Professor Google Plus hangout where professors teaching social media around the country get together to talk shop. The event will be broadcast on Google Plus and available for on demand viewing (check back later in the week for the video). Major skill sets we should be teaching to prepare our students to excel in the social media economy. If your teach social media and care to join in on the the Google+ hangout, we’d love to have you. Our last two hangouts have been a ton of fun and I’ve learned a great deal from professors who are leaders in the field of social media education. Drop me a comment below or via Twitter, and I’ll send you a G+ invite. Or check out our LinkedIn group: Teaching Social Media Marketing and Management. You can watch our most recent discussion on social media analytics. Hope everyone is enjoying summer! It is starting to get hot here in West Virginia! 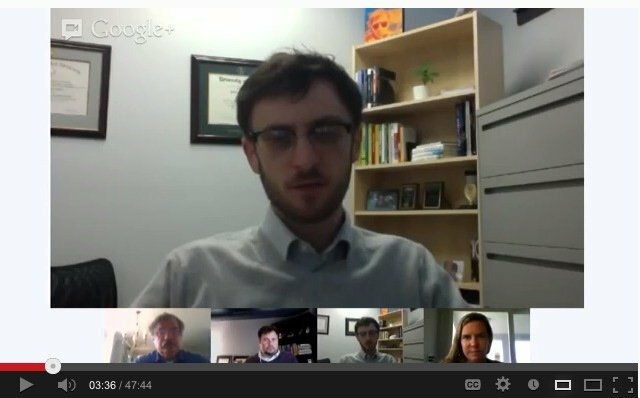 Last night I had lots of fun hanging out on Google+ with some very talented social media professors. Gary Schirr, Nancy Ricmond, and Jeremy Floyd, and I discussed social media analytics. This was the first public G+ Hangout broadcast from the Social Media & Marketing LinkedIn Group. We are planning to do hold one about every month. Jeremy Floyd (@jfloyd), who hosted the G+ Hangout, put together a great list of resources from the discussion including links to texts and analytics tools. Not loading? Watch the video on YouTube. Among the many new tools I learned about last night, I am thrilled that Jeremy shared with us the spreadsheet he created for his students to use to monitor their social media. One thing that struck out to me was the ability to track metrics against individual posts per their day and time to help in post scheduling optimization. This is a tool I am looking forward to getting my hands on and adopting for my own classes next semester. If you’re a social media educator, I strongly encourage you to check out the Social Media & Marketing LinkedIn Group, which I wrote about in a previous post on how to find social media professors. It is a great space to discuss issues and strategies in social media education and has been a valuable resource and sounding board for me as I build out the Strategic Comm concentration here at Shepherd University. I believe I’m the only faculty member coming from Communication in the group – but, as you know, the lines have blurred with social media. I really feel that cross-pollination is the way to go and encourage both marketing and strategic comm folks to join. Come join and be part of the discussion and next month’s G+ Hangout. I will be moderating next month’s topic which will be on what key knowledge and skills we need to teach students to thrive in a social media economy. There are many passionate and talented professors across the world pioneering social media education. It may be the definitive guide to social media educators. The The Top 100 Web-Savvy Professors of 2012, put together by BestOnlineUniversities.com, profiles – well, you guessed it: web-savvy professors. Many of these are champions of social media – whether teaching social media, using it to teach, or both. Education By Kerry O’Shea Gorgone (@kerrygorgone) – A list of higher ed folks, some of whom are active members of the Teaching Social Media Marketing & Management LinkedIn group discussed below. Edu by Modern Journalist (@ModernJourno) – List of 196 educators and trainers on social media. Academia by Ph.D. student at UT Austin Curt Yowell (@curtyowell) – 419 academics listed! WVU professor John Jones’s List (@johnmjones) – One of the most comprehensive list of academics I’ve seen with 500 folks (Maybe that’s why it has 37 subscribers!). Academia: Academics that Rock – My own personal list (@mjkushin) of social media professors and related Tweeters. Hashtags? Here’s 1 to get you started: #teachSMM for teaching social media marketing. 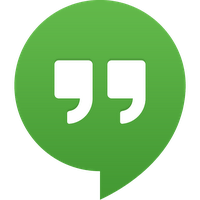 Teaching Social Media Marketing & Management group – Great group that has just started a monthly Google+ Hangout to discuss social media in the classroom. Higher Ed – this group that is not for educators, per se. It is aimed at connecting “professionals employed by a higher education institution who are actively engaged in social media planning, strategy and execution for a college, university, technical college, community college or college system.” But an interesting group and one I enjoy staying up to date on to get a sense on how universities are using social media in their marketing. Teaching Public Relations – This group is aimed at public relations professional. Given the increasingly vital role of social media in PR, discussion of social media is common. However, there are many other subjects discussed here and social media is not the main topic. May not be of interest to some. You’ll be surprised to find just how many educators are on social media. And while universities may be failing on the whole to teach social media, there are plenty of people who are changing that.